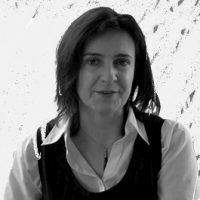 Maria Kaika is Chair in Urban, Regional and Environmental Planning, at the University of Amsterdam. She has taught at the Universities of Oxford, Paris Est (LATTS), KULeuven, University of London and TU Vienna. She is author of City of Flows: Modernity, Nature and the City (2005; Routledge, New York) and co-editor (with N. Heynen and E. Swyngedouw) of In the Nature of Cities: urban political ecology and the metabolism of urban environments (2006; Routledge, London).